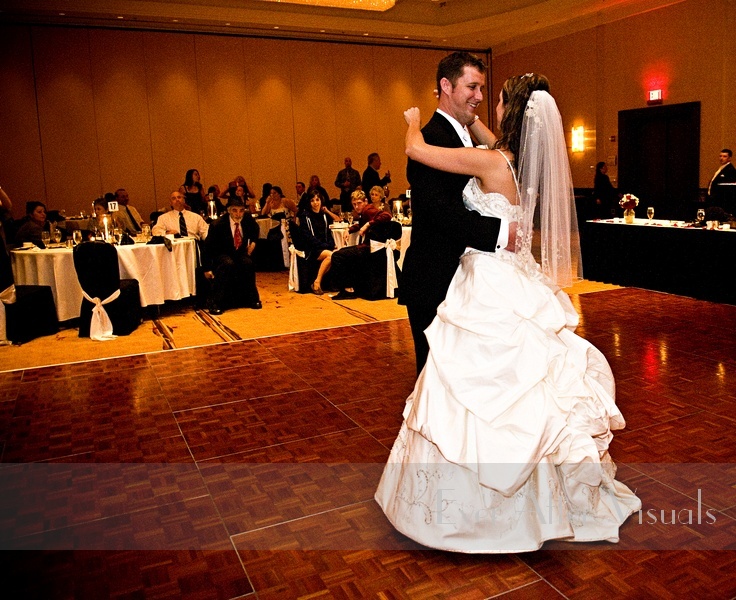 Ceremony and Reception Venue: Washington Dulles Hilton, Dulles, Virginia — Always a great location for a top notch affair! 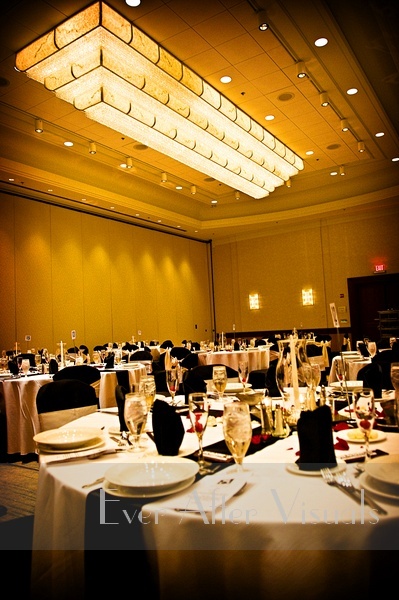 Catering: Washington Dulles Hilton – The food certainly looked delicious. 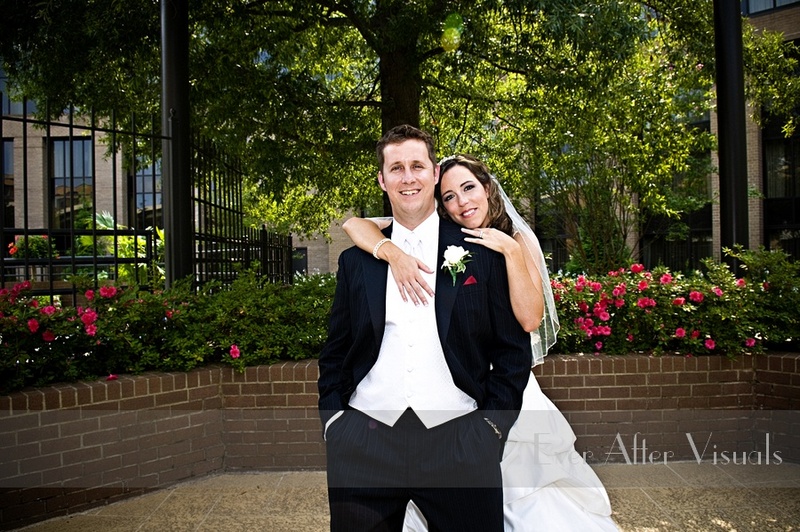 After months of preparation, Jason and Jennifer tied the knot in a fabulous wedding at the gorgeous Hilton in Dulles. The color theme for the wedding was black and white, so the whole day had this beautiful elegance to it — we are really loving how it looks in the images! Most of all, we love that Jason and Jennifer made time in their schedule for bridal portraits and lots of bride and groom time — the only way to get great images is to make time for them!!!!! Thanks soooooo much for allowing us time to ‘do our thing’ with some of the kewl locations around the Hilton — we love it when our brides and grooms value photography. Jennifer and Jason, we hope you are having an awesome time in Antiqua!! That there was a special tribute to Jennifer’s father who passed away — bittersweet — and brought a lump to our throats for sure. How beautiful Jennifer looked — the dress was rocking and Victoria did a wonderful makeup job as Jennifer looked just as fresh at the end of the evening as she did in the beginning. Jason’s shoes — we LOOOOOVVED them. I hope more grooms take the hint and do something similar! How Jennifer and Jason really worked together through the planning — what a great way to start a marriage. That someone gave them the awesome gift of their family crest — THAT’s a unique gift they will treasure, I’m sure. That both side of the family were FUN — lots of dancing and partying all around made for a good time had by all. Jennifer’s dress was GORGEOUS. We love it when our brides have unique dresses. Take a look at the sneak peek slideshow and you will see. Be forewarned though — there were soooooooo many images we loved that we found an extra long version of the song they danced to, so you will have to wait longer than usual for the slideshow to start — but we think it is definitely worth it!! 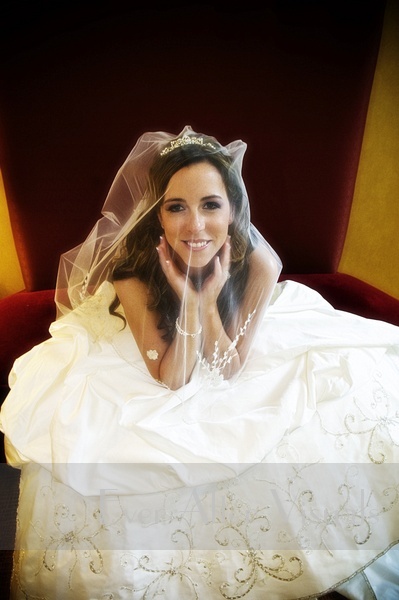 Check out David and Ester’s Wedding Photography that was also shot at the Washington Dulles Hilton! You can also see Jason and Jennifer’s Engagement Session shot at Meadowlark Botanical Gardens! 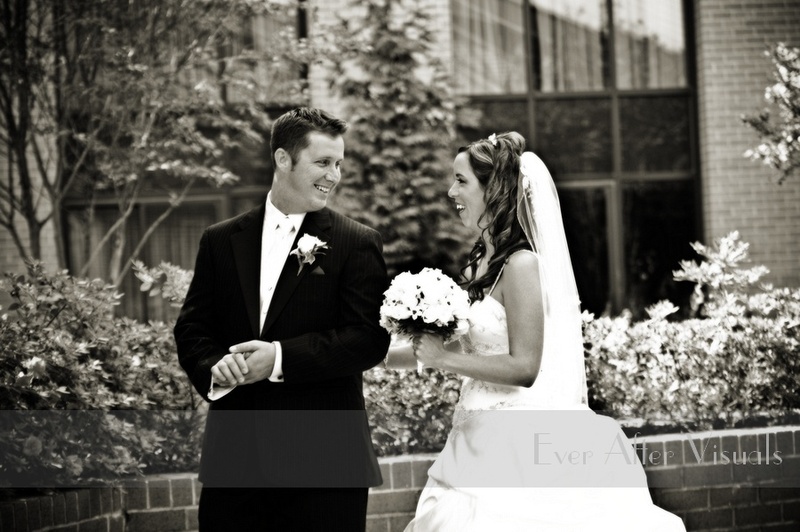 Click here to check out Jason and Jennifer’s SNEAK PEAK slideshow!